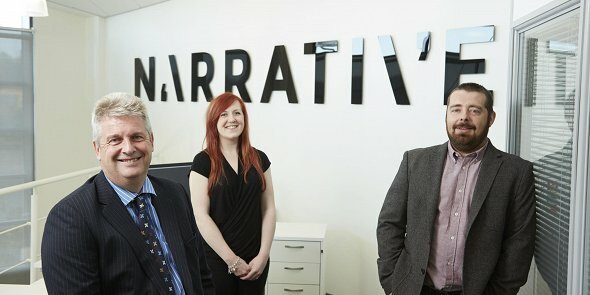 Sunderland-based Narrative Integrated Communications, welcomes Stuart Singleton as financial director, Ross Palmer as creative director and Katie Harding as PR digital account executive during what is described as a time of “expansion and investment”. Due to increased demand for new and existing service strands including PR, creative, advertising, digital media and marketing strategy, Narrative has recently seen its team grow from 13 to 18 in under a year. Stuart, a qualified chartered accountant, trained in Manchester before moving to Australia to hone his skills. On his return to the UK, he worked for Royal & Sun Alliance, Siemens and Atos heading up various finance and governance teams to help improve and transform their processes, teams and results. He has joins the Narrative team with the aim to ensure the business is financially positioned for long-term growth. Ross is an award-winning, multi-channel creative with over twelve years’ experience working in and subsequently leading creative teams in some of the region’s largest branding, advertising and digital agencies, working on accounts for national and worldwide brands. Also joining the team is Katie, who previously worked in the marketing and communications team at Coast & Country Housing Group, one of the North East’s largest social housing companies. Katie’s new role will include the development and delivery of client digital PR and social media strategies.